The DRA Convention showcases numerous speakers and seminars related to the various aspects of the industry, hospitality, marketing, etc. In addition, there will be fun events, entertainment and the annual Dude Ranchers’ Educational Trust Dinner and Auction. The agenda includes seminars on Adventure Travel Media; PR 101 + What is the Media Looking For; Epic Processing: The Best Solution for all Payment Solutions; Amanda Esch, Davis & Cannon, LLP: The Best Defense is a Good Offense; Peter Askew of DudeRanch.com on Google Analytics 101. Guest speakers include Nancy Schretter, Managing Editor, Family Travel Network; Dr. Sorensen-Equine Learning Center of America. There’ll be a DRA Hall of Fame Presentation, a Horse Safety Program Report, time to meet vendors, and the big President’s Banquet at the famed Buffalo Bill Historical Center. The Convention is the largest attended DRA Event of the Year. For more information, contact the DRA office at info@duderanch.org or 866-399-2339. Fall colors at the dude ranch–that’s the topic we started this blog with in, gulp, 2008. And it’s what we want to write about in October. Now you can help us. Post a note on our Facebook page.Tell us what kind of fall color trees your ranch guests can enjoy, when the fall color peaks, and how late in the year you’re open. We’re waiting to hear from all you Ranchweb members! What better way to vacation ‘green’ than to visit an eco-friendly dude or guest ranch. After all, ranches have had years of practice in being careful stewards of their lands in order to be successful. In recent years, many dude or guest ranch ranches have gone beyond their regular practices of ensuring streams stay clean and pastures stay healthy. Now they’re actively working to make sure they use less energy, recycle, re-use, and compost whenever possible, and grow their own fruits and vegetables. Since 1998, Echo Valley Ranch & Spa has embraced the values of a Triple Bottom Line philosophy (sustainability in environmental, social, and economic terms). Caring as much for its people as it does for the environment, the ranch has long enjoyed success as an eco-aware destination (in fact, well before ‘living green’ went mainstream). Composting: The ranch composts everything it can for the organic vegetable gardens (including beans, beets, leeks onions, peas, salad greens, and more). Recycling. Water: “We operate our own wells and have a large septic field so what come in goes out ( we do have ultra low flush toilets and water saver shower heads).” Water comes from natural springs on site. Other: Guest rooms have recycling boxes for various recyclables, from paper to tin and plastic. Packaging and water bottles: They reduce the amount of package that comes into the ranch and provide all guests with stainless steel water bottles. For more details, visit the sustainability section on their website. The new buzz—Going Green— isn’t new at Sylvan Dale. According to ranch history, green practices have been in place on the ranch since 1946. Today, their philosophy—Renewable, Sustainable, Responsible— reflects their commitment to sustainability and eco-friendly practices. In the 1990’s, the ranch made a major commitment to go green, initiating conservation easements. To date, Sylvan Dale has preserved over 1700 acres of foothill views and wildlife habitat. “We’ll continue to follow the example our parents set to save the planet. It is so gratifying that doing the right thing and upholding the sustainable values we have held for years have become popular and important in today’s world,” says Susan Jessup, a second generation owner of the Sylvan Dale Ranch. Sylvan Dale Ranch has a special Sustainability logo to reflect their Sustainability Mission: “To apply practices in our daily work routine that support a sustainable operation in harmony with the natural environment through the principles of “Reduce – Reuse – Recycle”. A haven set in the scenic Ozark Hills, Buck and Spurs Ranch has ‘just enough comforts to let you enjoy roughing it’. The 700 acre ranch has cattle, horses, and wildlife along with 2 miles of private frontage on Big Beaver River. At the ranch, you can try your hand at fishing, swimming, canoeing, and, of course, you can ride Missouri Fox Trotter ranch horses (famed for their smooth gait) trained by a ‘Horse Whisperer’. The ranch also specializes in natural horsemanship clinics. But when I speak to Sonny Huff about their ‘green’ practices at the ranch, you can hear the excitement in her voice. “We started several years ago adding solar and wind generated power to the ranch,” she says. “And our guests often ask for a ‘solar tour’, so we know they’re interested, too. She ticks off a list of what’s powered by alternative energy: a solar well, the lights in the new barn, a solar kiln, blowers, and fan in their small sawmill. The T Cross Ranch lies inside the Shoshone National Forest at an elevation of 7,800 feet, surrounded by an untouched country of pine forests and open meadows, trout-rich streams and small lakes, country that is scenically magnificent. This historic (1920’s-era) dude ranch is protective of its magnificant mountain setting and pristine wilderness. Threaded by trout-rich streams and dotted with breathtaking alpine meadows of the greater Yellowstone area, the T Cross is both unspoiled and environmentally friendly. Once you reach the ranch, most transportation is done “a horseback” (There are no excessive greenhouse gases here!). The ranch raises its own beef to ensure a high standard of quality meat with no hormones and no steroids. And, as of 2008, the ranch is powered from a wind turbine, harnessing the wind and conserving energy. The goal of the T Cross? To “provide an opportunity for all to come and enjoy their public lands, while working toward another 90 years.” Sounds pretty good to us! There’s a NEW BOOK out that wraps up the world of dude and guest ranch vacations in a neat, well-organized and well-written package. Gene Kilgore’s Ranch Vacations 2011 ($22.95), the ultimate guidebook to all the best dude and guest ranch resorts around. Featuring more than 100 ranches across the country and the world, the guide this year takes on a new format and an easier-to-use size. Featured on the cover is Montana’s newest ranch, the luxurious Ranch at Rock Creek. The book, Ranch Vacations 2011, is available now on Amazon and also on Ranchweb.com. Look for it! Find our page on Facebook! You know we love dude and guest ranch resorts. Now we’re telling the world of Facebook all about the world of dude ranching. Come pay us a visit. We share ranch news, deals, features, and even a few laughs. Tell your friends about our new Facebook page (http://tinyurl.com/3v7cwdg) on your Facebook page. And if you want to keep up with what we’re doing, become a fan and “like” us. 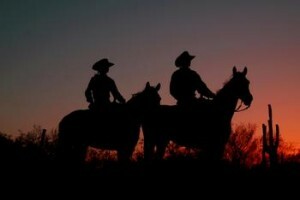 Sunset Magazine features Ranchweb member ranches! Check the May issue of Sunset Magazine: their great cover story on ‘Camping in Comfort and Luxury Adventures’ features several dude and guest ranch resorts that are Ranchweb members. Look on pages 68 thru 71 and you’ll see terrific small articles on The Resort at Paws Up and Wyoming’s Hideout Guest Ranch. And our feeling is that any positive publicity for dude and guest ranch resorts benefits us all. Great job, Sunset. Thanks! We share ranch news, deals, features, and even a few laughs. Tell your friends about our new Facebook page (http://tinyurl.com/3v7cwdg) on your Facebook page. And if you like what we’re doing, become a fan and “like” us. The media has finally found out what we’ve known all along: Zapata Ranch is terrific. Built on an original homestead site, Zapata uses utilizes its own grass-fed beef and bison, along with local San Luis Valley produce. Their style is ‘down home, gourmet and meals are served family-style’. 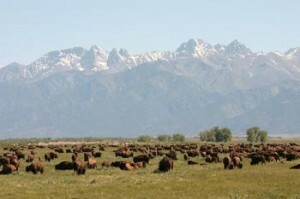 Below we list a sample of the attention this Mosca, Colorado, ranch is getting. America’s Heartland TV Show: Featured as an Unforgettable Experience in the World of Agriculture. 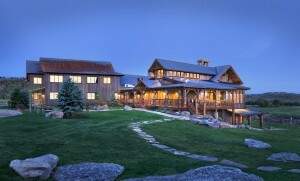 CBS Denver News: 1 of 5 Top Ranches in Colorado. Our hats are off to Zapata Ranch! You may not think about taking a dude and guest ranch vacation in the states east of the Mississippi, but there are several terrific guest ranches there, especially in New York and North Carolina. This month, we’re putting the spotlight on ranches with an eastern twist. Now’s the time to start planning your summer dude and guest ranch vacation way down east. With 68 horses on the ranch, every guest at Clear Creek Ranch is sure to have a horse suitable to their taste. Riding is big here. Just ask owners Rex and Aileen Frederick. “Riding is definitely a top priority,” says Aileen. “We offer an 1-1/2 ride in the morning, and either a 1-1/2 or 2-1/2 hour jaunt in the afternoon.” And don’t forget their lunch ride on Wednesday, and rodeo on Saturday. “We also have what we call The Junior Wrangler Ride for kids on Friday,” Aileen adds, explaining that the Junior Wrangler Ride is a lunch horseback ride with tubing on the river after the ride. Cool! But there’s so much more, including line dancing, carriage rides, swimming and volleyball, cookouts, and plenty of quiet spots for just relaxing. Nearby outings range from exploring the Roaring Fork waterfall, to tubing or whitewater rafting on the South Toe River, dropping a line for some fantastic trout fishing (brook or wild mountain trout), or challenging a championship golf course. For a change of pace, you can fit in visits to local craft studios. This year, Clear Creek is planning to offer team penning as a new activity, and they are also adding square dancing to the program, joining their popular line dancing program. Details: Open Memorial Day Weekend through Labor Day and October. Some specials: in spring and fall, they are offering 25% discount off the posted price. 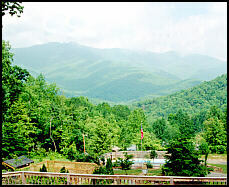 Ranchweb has a cool a new member: the Pinegrove Ranch and Family Resort. Set on 600 acres in the serenely lovely Catskill Mountains of New York, the Pinegrove Ranch is accessible by bus from New York or flights into nearby Newburgh. It’s open year- round, located in Kerhonkson, New York. Family run and dedicated to family fun: that’s the motto of 126-room Pinegrove. And boy, do these easterners know how to entertain their ranch resort guests. The ranch boasts dozens of activities, from horseback riding to a workout in the fitness center, fishing, paddle boating on their private lake, or chilling out in the spa. And for the kids, it’s a slice of Heaven. Sure, beside horseback riding and hiking, there is traditional outdoor fun from archery, basketball, miniature golf, and volleyball. But there’s plenty of indoor fun like laser tag, karaoke and a heated pool with a new double flume water slide, plus coin operated air hockey and arcade games. And parents needn’t worry: the kids are all right, well taken care of in the new ‘Barn Brats” program or the “Junior Wrangler” program. Details: Pinegrove Ranch and Family Resort offers lots of specials, from midweek summer vacation packages to family group discounts. Call 800/ 346-4626 and tell ‘em Ranchweb sent you. look for them on our website soon or click here. Look for exquisite service, a terrific children’s program, fine dining, and riding and hiking on more that 6,000 scenic acres. Special: Spring into paradise, May 26 – 31, 2010. Cool crisp mornings; bright, brilliant sunrises; and roaring fireplaces to curl up to in the evening. Join us in beautiful Paradise Valley, just south of Livingston, Montana, for a getaway you’ll always remember. 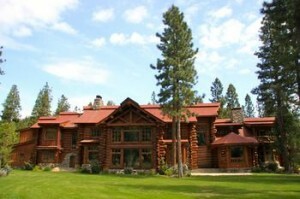 Details: $ 325.00 per night; includes accommodation, meals, all on-ranch activities and gratuities. Daily Activities: 7 a.m. Sunrise Hike; 9 a.m. Ride or Hike; 2 p.m. Ride or Hike. 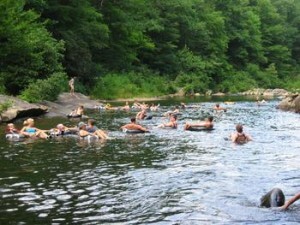 Fly fishing instruction, Yoga classes, and an all-day ride or hike are also available. In addition to on-ranch activities, you may want to tour Yellowstone National Park (extended stays available during our Visions of Yellowstone Package, June 1 – 7). Bring together Montana’s Big Sky and the Ranch at Rock Creek’s super luxury and you have a spectacular marriage. You’ll always be comfy at this amazing and beautiful ranch, where accommodations range from the Granite Lodge, the Luxury Tent Cabins, and the Log Homes. It’s near Philipsburg, MT, and is open year-round. Memorial Day Weekend – Stay 4, get 1 free. Validity Dates: May 20 – June 5, 2011 – This offer is not valid for groups of 10 rooms or more. Kick off summer at The Ranch at Rock Creek. The ranch is all about having family fun–parents and children will enjoy creating memories that will last a lifetime. For those visiting for Memorial Day Weekend, enjoy horseback riding, clay pigeon shooting, archery, guided hikes and mountain bike treks, paint ball, photo safaris, fly-fishing Rock Creek and more. Applicable Room Categories: All Accommodation Categories Rates: Enjoy Four (4) nights for the price of three (3) Minimum Night Stay: Four (4) nights Additional Fees: Spa Treatments, reserve wine & spirits and off ranch fishing are not included. Plus note details/restrictions below. Validity Dates: May 15 – June 15, 2011. This offer is not valid for groups of 10 rooms or more. Ride through spring wildflowers and newly greened pastures looking for shooting stars, fairybells, lilies of the valley and more. Or dive into any of a number of world-class usual activities such as archery, clay pigeon shooting, fly-fishing Rock Creek, guided hikes and mountain bike treks, horseback riding, paint ball, photo safaris, and more! Uou’ll get four all-inclusive* nights in luxurious accommodations and all Spring activities listed above, a daily children’s program, and more. The package represents a 20% Rate Discount. Applicable Room Categories: All Accommodation Categories. Rates: From $720.00 per person, per night (Minimum Night Stay: 4 nights . No Blackout Dates. Additional Fees: Spa Treatments, reserve wine & spirits and off ranch fishing are not included. 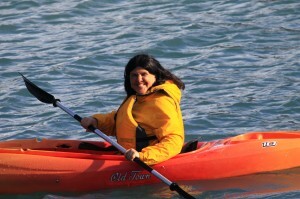 For both packages, Amanda spells out the details: “Our Rates Include: Luxury accommodations, all gourmet dining options, top shelf bar, wine and non- alcoholic beverages, horseback riding, private water fly fishing on over 4 miles of Rock Creek and several private trout ponds, hiking, archery, paintball, mountain biking sporting clays, hiking, daily children’s activities, excursions to the 19th century town of Philipsburg, Gem Mountain Sapphire mining, Silver Dollar Saloon activities including movies and television programs on our 14-foot HD screen, billiards, darts, ping pong, shuffleboard, karaoke and bowling. Long-distance phone calls, internet access, taxes are included. 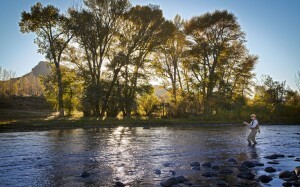 Not included: Airport transfers, reserve wines & liquor, spa treatments, and off-ranch guided fly fishing excursions. The packages are valid for new bookings only. Contact: Reservations 406/859-6027 or by email reservations@theranchatrockcreek.com. Spring is a great time to visit the ranch. Everything is lush and green and the wildlife return to the valley after the long winter. They’ve got some great deals for guests throughout May and June. Set in south central Wyoming’s wild and beautiful North Platte River Valley, Brush Creek Ranch has been a homestead and ranch since the 1880s. Now, its long and storied history bears a new coda: The Lodge & Spa at Brush Creek Ranch. Ah, but that’s not how the last chapter of the tale of Brush Creek Ranch was initially supposed to be written. End of story? Not exactly. Eventually, the Whites realized they wanted to share this truly luxurious setting in the heart of the American West. So they’ve opened it to guests who are looking to ‘experience authentic outdoor adventures along with a spirit of genuine hospitality’. Set for a spring 2011 Grand Opening, the Lodge & Spa at Brush Creek is now accepting some ‘pre-opening reservations for weddings, corporate retreats, individual guests, and group events in an all-inclusive format that includes accommodations, food and beverage and activities’. But it is all done in the spirit of responsible conservation. So a big chunk of the ranch is preserved in a conservation easement, and White and the staff are committed to ‘harmoniously balancing the needs of wildlife, livestock, the land and watershed through an ongoing land, stream, pond and forestry restoration and management plan, ensuring that Brush Creek Ranch will flourish for generations to come’. Casual sophistication best describes the facilities. And while it is still a real working ranch, there’s plenty to do besides ride and rope; in fact, there’s a long list of activities in all seasons. The ranch sits on 13,000 acres of private land and borders the vast Medicine Bow National Forest, so the fund can include riding, hiking, hunting mountain biking, and cross-country skiing, snowshoeing, snowmobiling, and more. But perhaps the most amazing experience here is for anglers. In the Orvis- endorsed fly fishing program, guests can cast a line into six miles of sparkling private waters on the ranch (including 3.5 miles on Brush Creek, known for its incredible wade fishing), plus there’s pond fishing (great for beginners) and float fishing. The Lodge’s facilities offer yet more: a spa, a state-of-the-art fitness center, the Cattle Baron’s library, a covered U-line equestrian center, a mustang arena, and a sports and recreation center that features a large indoor center court and cross court for basketball, volleyball, broomball. Want more? Then choose indoor simulated golf and shooting, shuffleboard, air hockey or foosball. Lodging options in 37 spaces accommodate 150 guests and range from Log Cabin Residences, to Trailhead Lodge Rooms and Cabin Rooms & Suites; all are complete with luxury amenities. Details: Lodge Rooms start at $720 per night (off-peak) to $1,300 per night (peak). Cabin Rooms & Suites start at $720 per night (off peak) to $1,600 per night (peak). Log Cabin Residences start at $1,800 per night (off peak) to $6,600 (peak). Pricing is per unit, per night (not per person, not based on double occupancy). For more, click here.